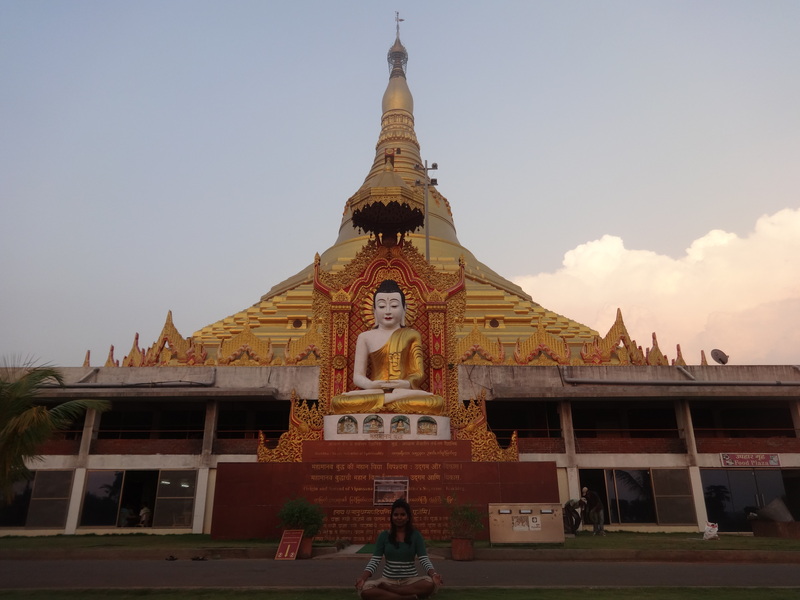 After exploring CST and Hornimam Circle area, the next destination in my list was the Global Vipassana Pagoda.I was so excited about this trip since I had heard good reviews about this place. 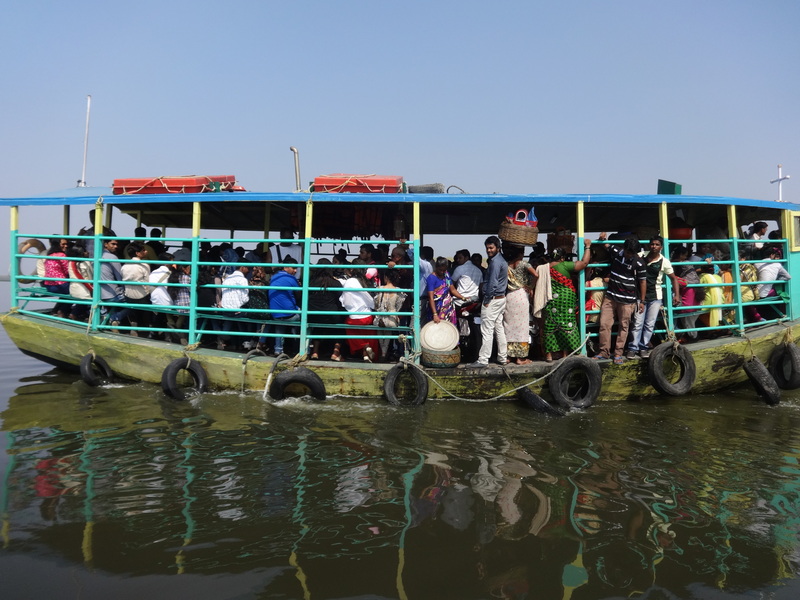 It was fun to travel in each possible mode of transportation in Mumbai to reach pagoda; first in the bus then auto rickshaw and lastly in ferry (total 2 hours journey) but it was totally worth experience. 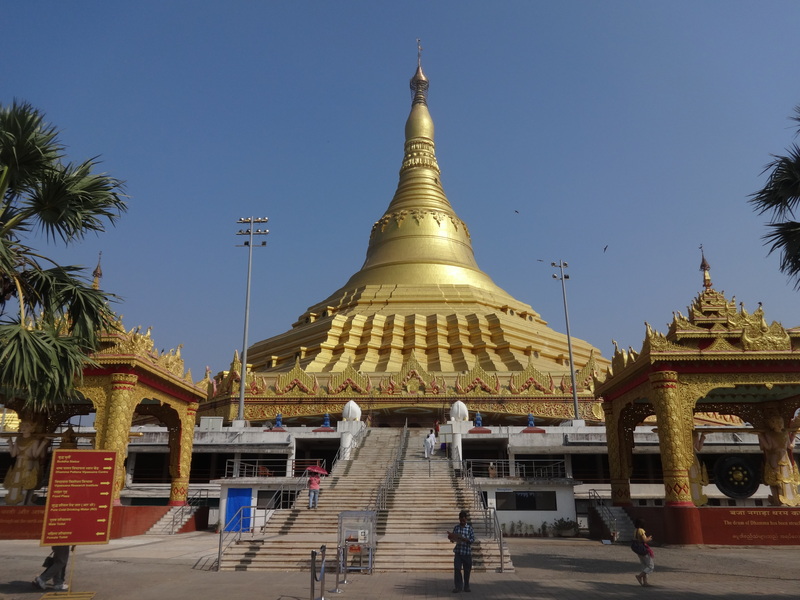 When I reached to Essel world, there were two ways; one way to Essel world and another way lead to the pagoda.The Global Vipassana pagoda is one of the seven wonders of Maharashtra and world’s largest stone dome built without any supporting pillars. 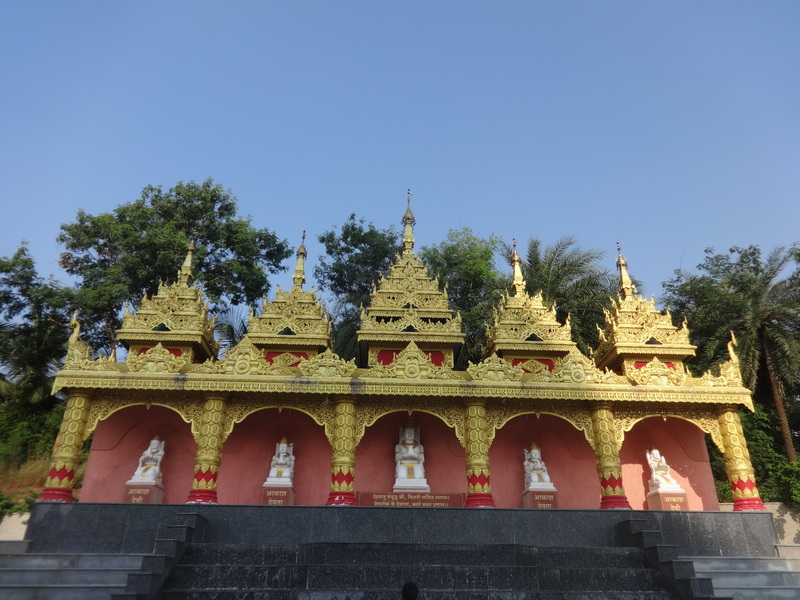 The pagoda is the Buddhist temple or Vihara mostly used for religious purpose, mediation or worship. 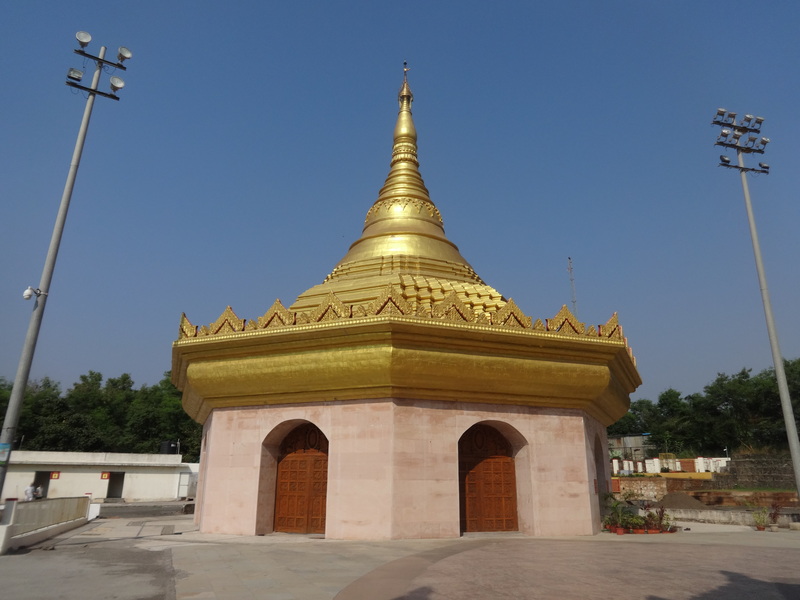 The main purpose of building pagoda was to show gratitude toward Lord Buddha for his contributions. 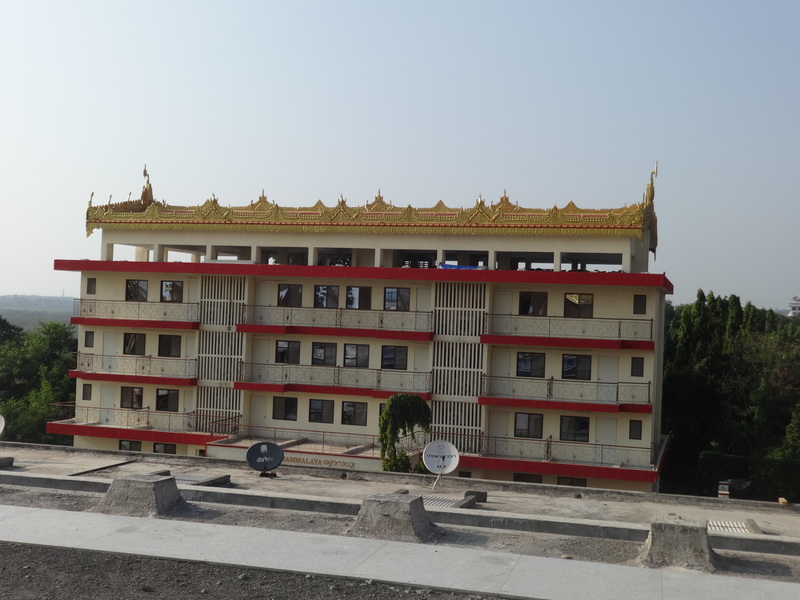 The trust mainly runs on the donations,learning Vipassana techniques and meditation camps are free of the cost. 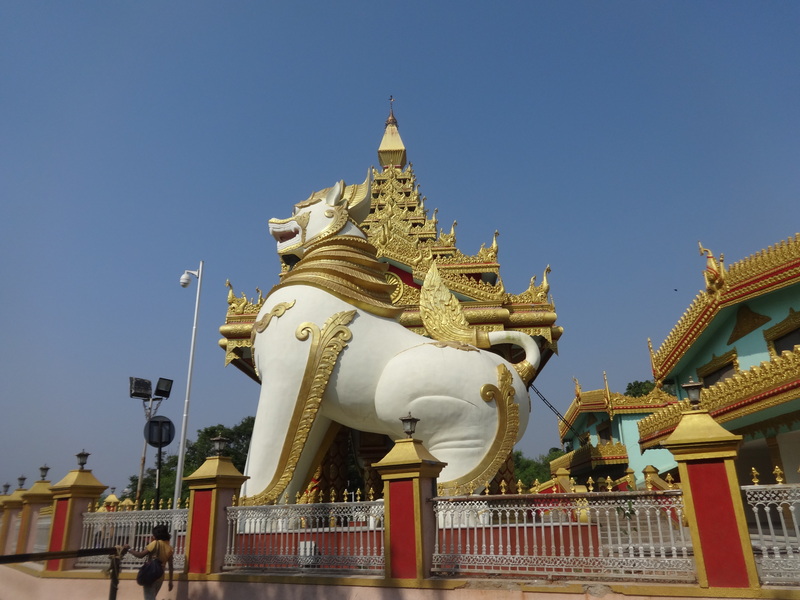 The main entrance was decorated with authentic gold painted designs and it was surrounded by pillars.There were two huge statues of lion like animal. 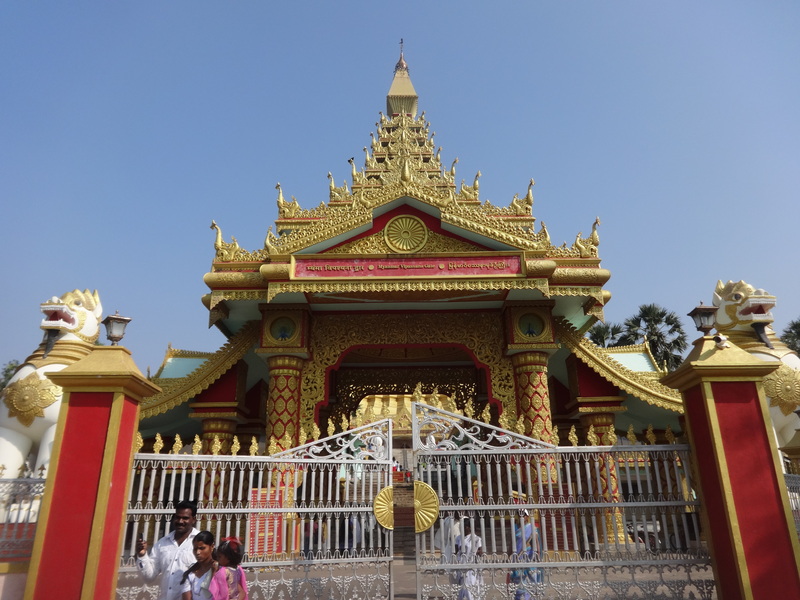 The Global Vipassana Pagoda is the most beautiful structure I have seen in Mumbai.The environment and vibrant color combination of pagoda gives peaceful feeling. The pillars and outer walls of the pagoda are decorated with elegant designs. 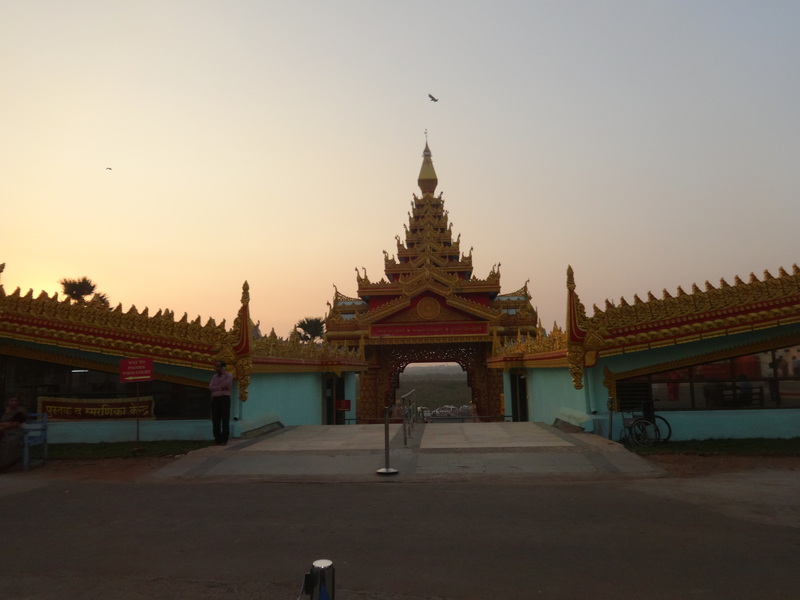 The thoughts of Dhamma are written on the outer side of the wall. 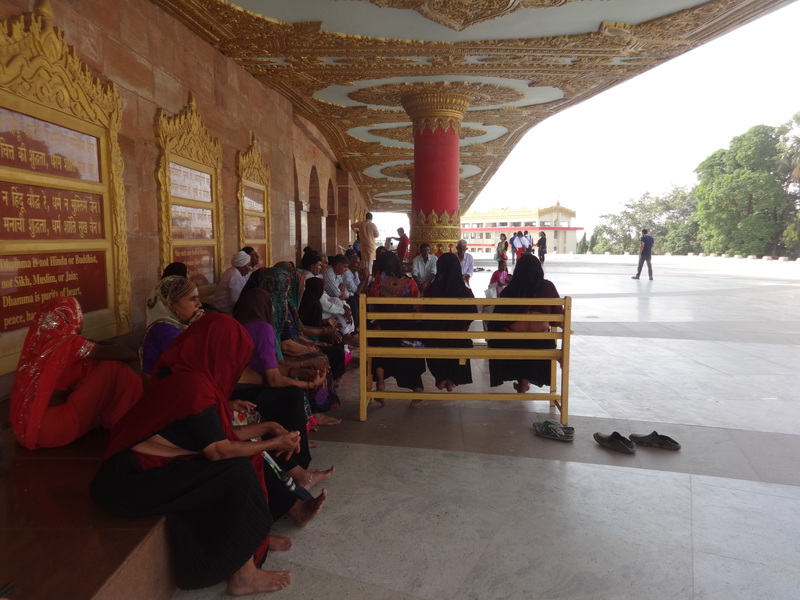 When I entered in the mediation hall inside pagoda, there were people practicing meditation. 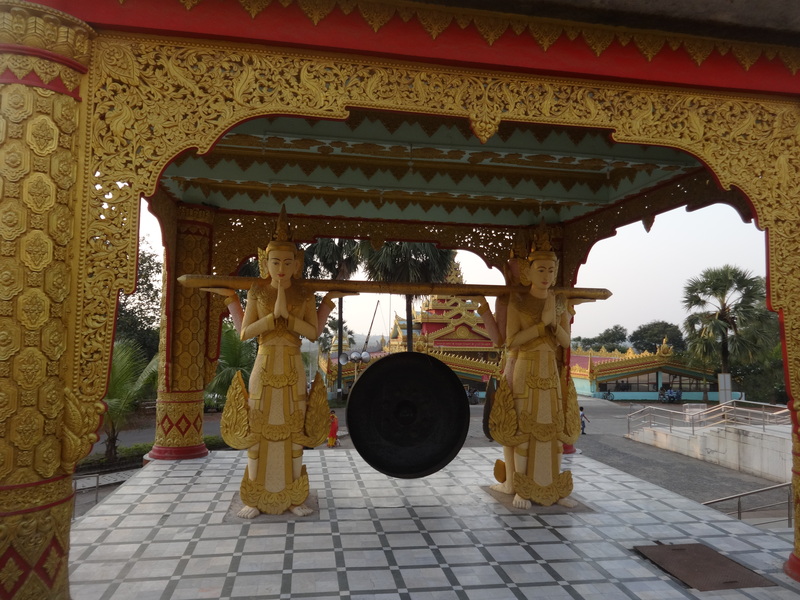 Photography is not allowed inside the pagoda. As per the information given by volunteers; it can occupy ten thousand people at the time. Later, I attended the 15 minutes Anapana mediation camp. In which the mentor taught us mindful breathing in-out and thought control techniques. 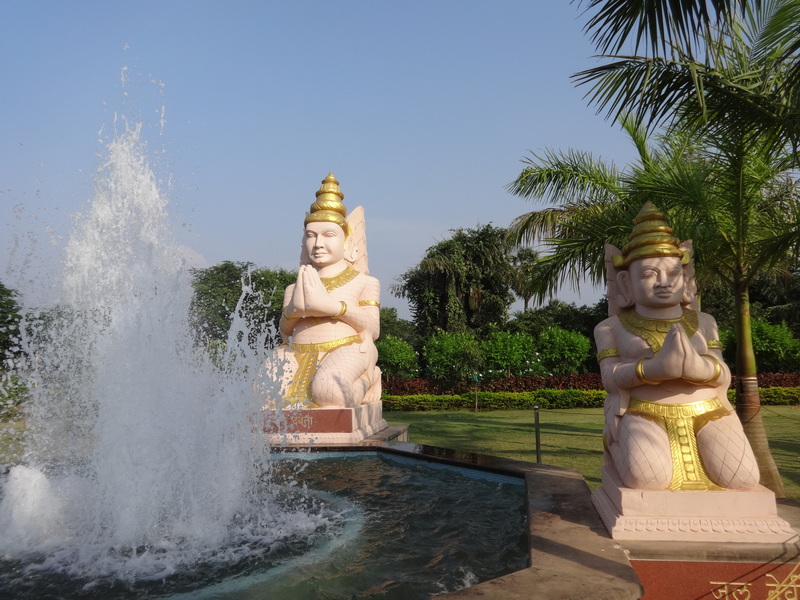 It was so peaceful experience.The Mentor also informed us about the 10-day Vipassana meditation camp they offer for free of cost including accommodation. 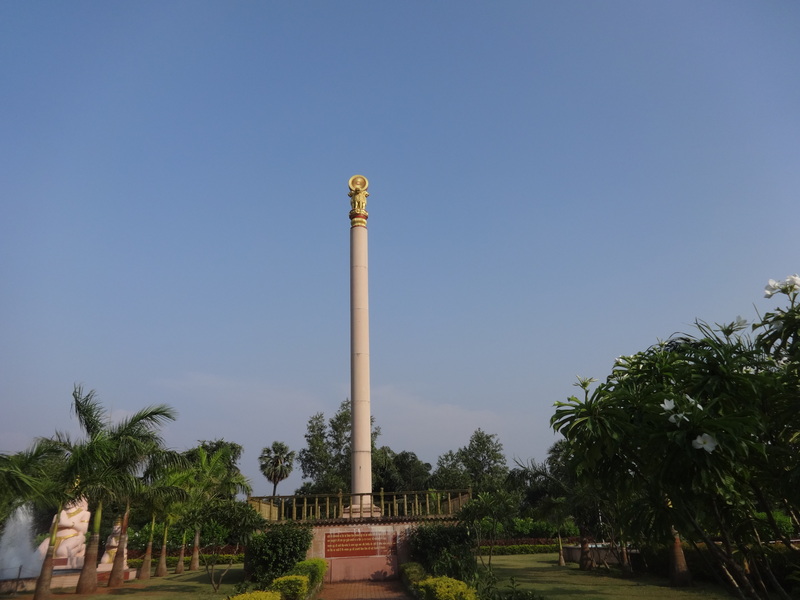 There are many places around the main pagoda to see and visit like ashoka pillar, lotus pond, video & photo gallery, painting gallery ,Buddha statue, bell tower and gong tower etc. 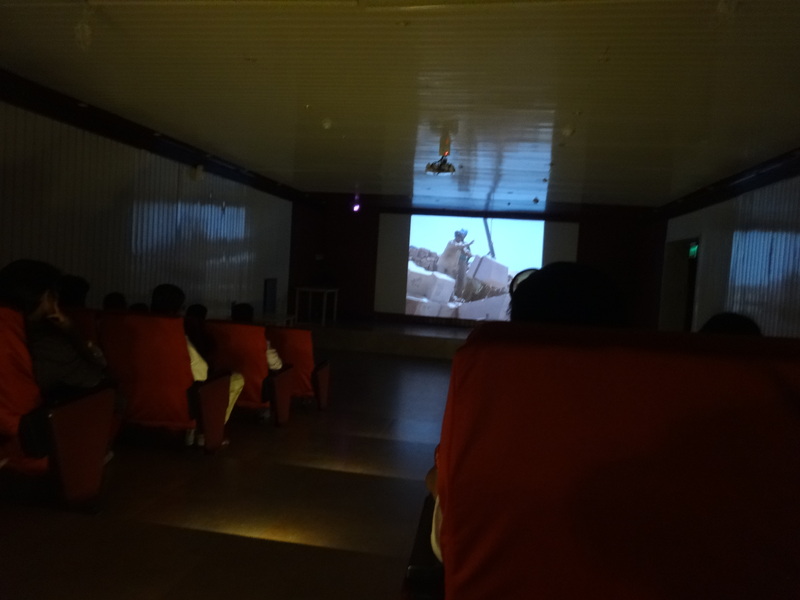 In the video gallery, they showed us the short documentary on pagoda providing information about construction of the pagoda, its purpose and benefits to the community. In the Painting gallery, I had an audio tour of the around 200 paintings; each painting tells the stories of the life journey of Buddha’s and benefits of Vipassana. 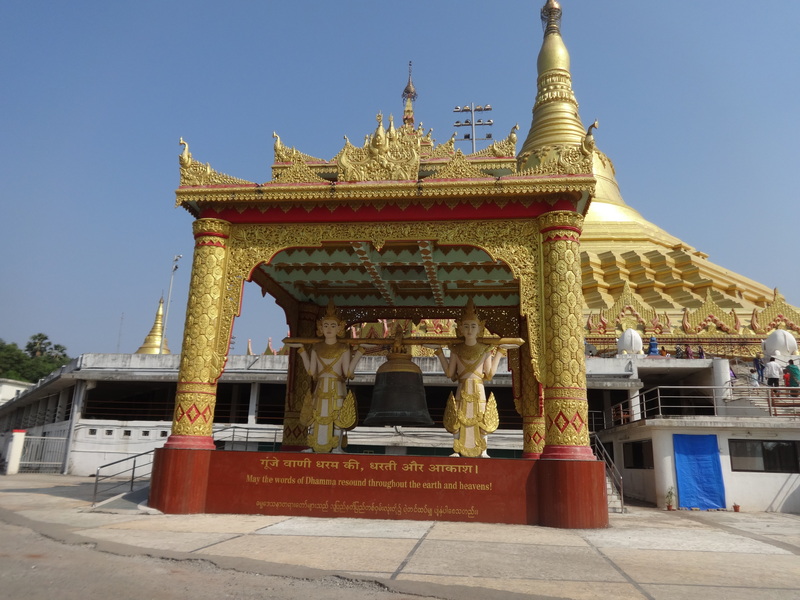 I felt rejuvenated after spending a day in the pagoda and looking forward to attend 10-days Vipassana mediation camp. 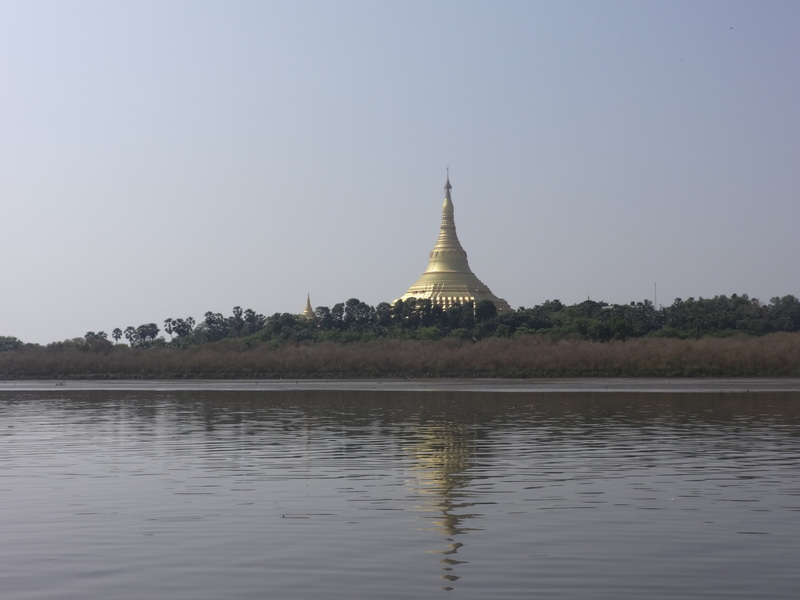 Global Vipassana pagoda is the best place to see in Mumbai and each one of us should at least visit once.